My brain is tapped by the end of the day and that doesn’t leave much energy for blogging. So. Watercolor Wednesday to the rescue today. « Hungry Caterpillar Set: Now With Baby! I saw the original picture before this watercolor, and it was great. 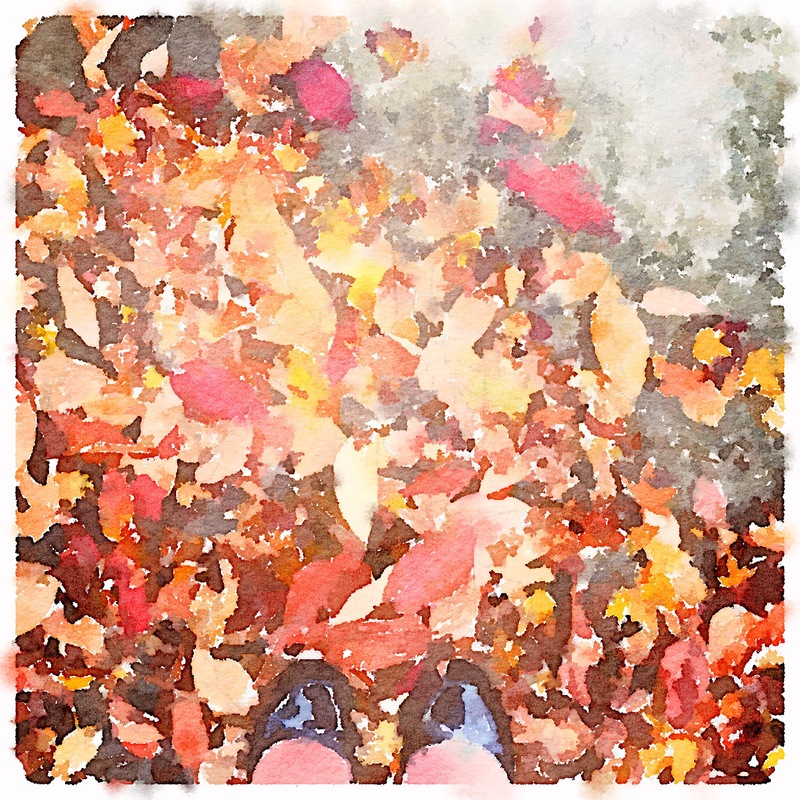 I also love how this watercolor leaves the leaves looking a bit like the colorful flames of a campfire at your toes. Both are great fall images. Beautiful watercolor. Those colors are fantastic! Perfect photo for that app! Perfect! Good luck with all of your stuff! This is the perfect “rescue” image and I hope your week goes smoothly despite all your deadlines! If anyone can handle all that stress, it would definitely be you. Don’t forget to breathe. This is really lovely, Carole. I hope you have an efficient rest of the week! Do not take the time to write me back. You are too busy! I remember those days well… (and I’m most grateful they are now memories and not my current reality). Good luck getting through it – and remember FriYAY is just two days away. Glad you’re seeing such pretty colors! Great watercolor. Your work days sound like mine. Crazy/busy times. But, for me the weekend has started!! The fall colors are stunning!